Looking for private in-home or in-studio Bagpipes lessons? Our Bagpipes teachers are ready to get you started. Find your teacher today! The average cost of 60-minute bagpipes lessons is $61. While the exact cost will vary depending on the teacher, type of lesson, and your location, you should expect to spend anywhere between $50 and $75 per hour. For the best experience, we typically recommend 60-minute bagpipes lessons. However, students looking for a more affordable option may want to consider a shorter lesson length of 45 or 30 minutes. On average, 45-minute bagpipes lessons are 12% less expensive at $54, and 30-minute lessons cost 41% less at $36. Curious how much bagpipes lessons cost in your area? Do a quick search to get local prices for the best bagpipes teachers . "Very well done! Enthusiastic, productive and encouraging." "Michael is a great instructor! I had no musical knowledge at all when I started with him, and he has gotten me playing an instrument now." "Very good teacher, has a lot of patients and makes you at ease ." pipe, you must lay the fingers flat. Suddenly all the pressure problems with the reed went away." "Great guy, amazing musician. Patient with beginning students, helps them struggle through material." "Teaches at a pace that I can learn from. Not too fast but also not too slow. GREAT JOB"
My initial instruction follows the John Sprague school method, which focuses on precise articulation of ornamentation, leading into pipe band music. Once a grounding in pipe band technique has been achieved, I can continue to work with students along the pipe band path through the intermediate level, or branch off into folk/kitchen piping, informed my extensive experience as a fiddler. I am also willing to teach small pipe and border pipe students. Do you want to privately learn to play the bagpipes from expert pipers near you? If yes, then you’ve come to the right place. Private bagpipes lessons and classes with a TakeLessons Certified™ teacher - whether in-home, studio, or online - accelerates your progress, increases enjoyment, and improves every beginner's chances of becoming an expert pianist. It's easy and affordable to book a teacher, and the lessons make a powerful, long-lasting impact. Our bagpipes teachers work with students of all ages: kids, teenagers, adults, and even seniors. Your teacher can coach you on the basic fundamentals, in addition to the technical parts of bagpipes. Learn about the parts, such as the bag, the air supply, the chanter, and the drone. 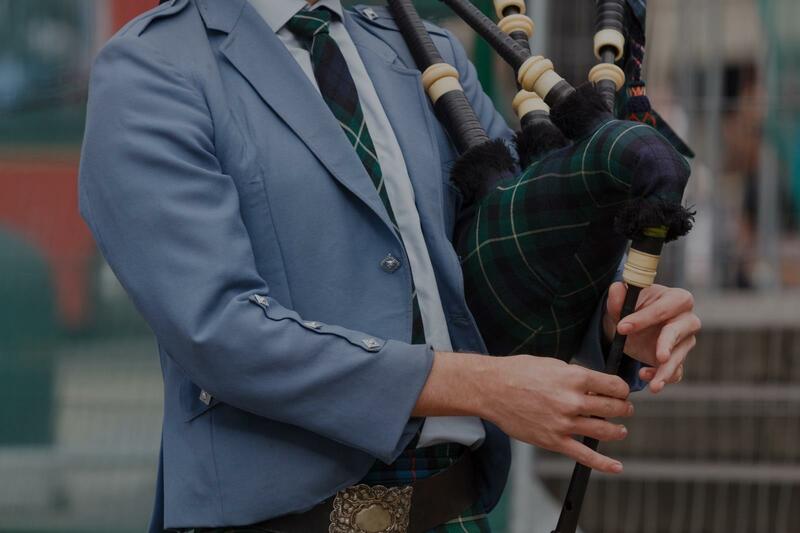 Learn about the origins of the ancient bagpipes, and the various types of bagpipes. Your teachers also cover the physical, social, and emotional benefits of practicing and playing the pipes. Your bagpipes instructor can teach you different learning techniques and tips, and help you develop good practice routines, so that you can hack your learning experience, and achieve your goals faster. Learn to play better music on any type of bagpipes. Students taking online bagpipes lessons can learn at their own convenience, enjoy better rates, and choose from a wider selection of teachers nationwide. If you've ever taken any music classes over Skype, you'll love using our interactive TakeLessons Classroom. We guarantee a personalized experience that will exceed your expectations. In fact, we are so committed to your happiness that we offer all new customers a 100% Satisfaction Guarantee on your first lesson. Find the perfect teacher today.